Charge smart phones, tablets and more with the built-in USB port in this stylish table lamp design. I just bought a new bedroom set and I think these lamps will look great with the furniture. 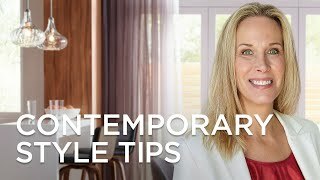 Different, interesting and classy looking style. Beautiful lamp with great reviews. This is just so intresting. The piece stands out. I love the first one that I bought a year and a half ago and so I decided to create a matching set as I need additional light in my living room. I love the elegant design and the high wattage bulb that it comes with. looked like one that i broke.. The height was a big factor, plus the overall clean design. ☆ Switch on base for better accessibility. I love the design and it goes perfect in my bedroom!! So far, it looks pretty good and will fit in with what we need. The height is perfect, nice contemporary look! I love the contemporary style of this lamp. It is simple yet elegant and the USB port is an added bonus to its functionality. So fresh, so modern. It's perfect for us. We needed a table lamp that would provide enough reading light. A gift for my son's apt in NYC! Great design! 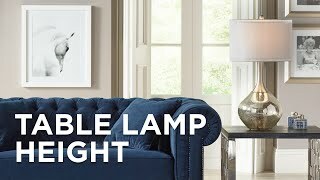 I liked the curved style of the lamp, and I liked that it took up to a 150-watt bulb. The color matches my appliances in the kitchen, which is nearby the location where the lamp will be. I love the design - so clean and sleek. Style is good fit for our decode. USB port is a plus. Possini designs are modern and yet classic and will always look contemporary. This will look great on my desk! Beautiful contemporary flair. 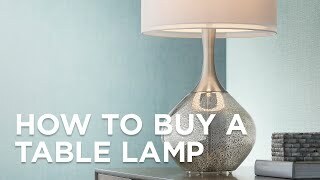 It is unique from the standard table lamp. I liked the way it looked. My decor is modern so I think it will go well with my furniture. Contemporary design, USB port, great bedside lamp! UBS Port, Easy reachable switch, modern glass and kind of ....not in the way. Overall: very sleek and easy to use - not cumbersome like traditional lamps. I like the idea of a USB port and the fact that it will be a good reading lamp, more or less in disguise. Perfect for my purpose. Liked the wattage and glass dome with on/off switch on the base. Will I be able to order just the Possini Euro glass dome, I have the lamp, but I broke the glass dome on a move!! I really love my lamps I have two “HELP”? BEST ANSWER: Our customer service team would be happy to assist. You can reach them via chat or phone (800-782-1967. Is the bulb visible through the white glass? I was informed it was visible through the seeded glass. BEST ANSWER: No it is not clearly visible through the glass . You see afuzzy outline of the bulb as the light is difused through the glass. There is enough light to reflect off my tv screenso that I have to turn it off to watch television. I like it because the shade covers the top of the bulb so that when I am standing next to it I am not looking down at a bare bulb. It is exactly what I needed on the side table at the entrance to my family room. The bulb is visible through the white glass only when you turn the light on. And, depending on the type of bulb you use, it may not be seen when the light is off..
With an LED lamp, its just a soft glow. When it is off, the bulb is NOT visible in mine. BEST ANSWER: The shade is not clear, more cloudy. It gives plenty of light. I love it for my home! No it is not, it is frosted. Very nice. Not satisfied with the ubs,port. BEST ANSWER: This fixture takes a standard medium based bulb up to a maximum of 150 watts. However, if you prefer LED, you can definitely use any standard medium based LED bulb that you would like. 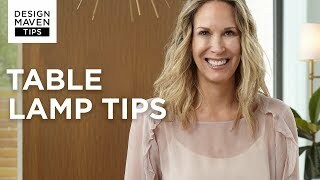 Does this lamp take a 3-way bulb - 50-100-150 watts? BEST ANSWER: This lamp does not have a 3-way socket or 3-way switch. We suggest using a maximum 150 watt or equivalent bulb and using a table-top dimmer to adjust the lighting as needed. BEST ANSWER: Unfortunately, the manufacturer does not manufacture replacement glass shades. Does this lamp come assembled or do I have to assemble it? BEST ANSWER: Its in 2 parts, the main base and then I screwed in the shade...very easy!! I love it and am looking at it glow right now:))) Enjoy it..so glad I got it! It's a wonderful lamp. When it arrives you install the shade with one screw; very easy! All you have to do is attach the dome light. Super easy. You will love this lamp! It is assembled except for the glass dome which is easy to put on the base. You will have to attach the globe to the unit. 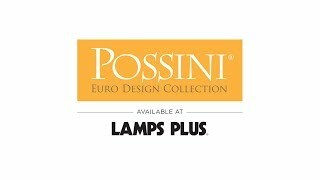 Does the Possini Euro Calvin Glass Dome Table Lamp come in a different finish? I absolutely love this lamp, but would love it more if it came in an antique brass finish. BEST ANSWER: Hi - at this time, it only comes in the finish as shown. We do carry a design with wood tones. See the attached for another option. BEST ANSWER: The overall height is 22.5 inches. Lamp is nicely designed and love the USB port to charge Iwatch. I love, love, love, my lamps. I have modern furniture and they fit right in. I would absolutely recommend them. Nice and sturdy and oh, so good looking. The company (Lamps, Plus) is a great company and would not hesitate to buy from them again. An excellent pair of lamps, well worth the cost. Service and delivery, as always, was top notch. I really like these lamps and the service I received from lamps plus! I adore this lamp. The design is so different from other lamps looks like a piece of artwork. It stands out not like other boring lamps. I highly recommend! Love, love, love these lamps!!!! Love it especially with my Hue light bulb! Awesome light, great size, great design, made well esp for its low cost, I’m using a hue light with it and it’s awsome with the frosted glass. I love it! Shipping was super fast and free. Beautiful well-made table lamps. Great value and very stunning. Lots ‘o light. Beautiful form. USB port is a bonus. 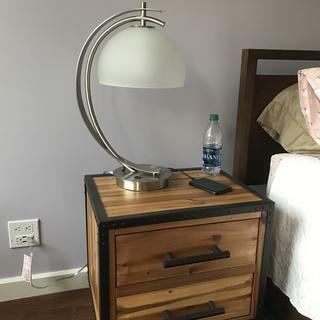 Night stand, desk, side table. This lamp fits anywhere! 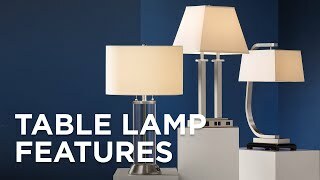 Bought the 2 lamps for my daughter - she loves them and was totally excited about the added cell phone charger in the base of the lamp!!! I purchased the set of these lamps for my bedroom. The simple modern line is also very interesting - not boring. And the amount of light is perfect- not too harsh but bright enough. Love them!! It's definitely an unique and pretty lamp but it was bigger than I expected especially for the nightstand. Overall, would purchase again for the design.